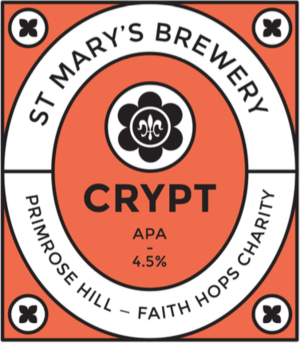 Crypt American Pale Ale has an intensely rich malt bill resulting from a strong backbone of Best Pale malted barley combined with Vienna malt to add complexity and provide a rich colour, Caramalt to help show off the hops and Wheat Malt and Oat Malt to give a fuller body. 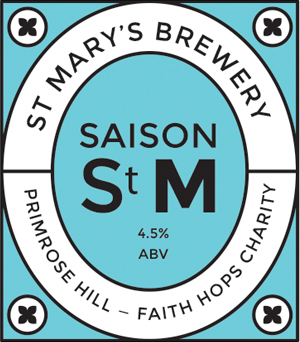 It has a strong and simple hop schedule comprising Magnum to add bitterness, Columbus for a wonderful resinous flavour, Simcoe to add a classic citrusy flavour and finally Cascade for subtle floral touch. It’s a unique beer of medium hop bitterness characterised by a delicate balance of amber, floral and fruity flavours.